Three times a week I am responsible for Dr Seymour’s Bookkeeping. This encompasses a variety of duties. I reconcile the banking and do the wages. Entering invoices and make sure all bills are paid on time. (Yes Dr Seymour does NOT need a prod to pays his bills; he pays his bills on time, just needs a reminder). Also to ensure that all accounts have been dealt with in whatever manner is required. Banking receipts, bank statements, cheques to fill, items to pay by credit cards, correspondence to action, items to fax and so on. Parcels sometimes go walkabout and have been known to show up mysteriously after some detective work on our part. Sometimes one or two weeks later it arrives from anther dental surgery, which doesn’t help us when we are waiting on an urgent order. 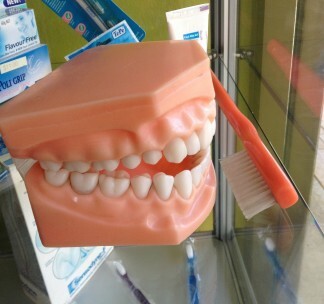 We have also been mistaken for a medical doctor’s surgery in the early days and have had patients come in and ask for some weird drugs, (which can’t be mentioned), since then we have put a display cabinet with “Charlie Choppers”, the huge mouth with teeth for Dentists to show how to brush teeth. We now also have new signage with a distinctive trademarked logo (more on this in a future blog). You can’t miss us now! Since starting here 13 years ago. I have learnt so much under Dr Seymour’s guidance. One of Dr Seymour’s greatest attributes (amongst many) is his patience. He is never tired of explaining things either to us or patients. It is important to him that we understand the reason behind what we do. For patients it is also very important that they understand the suggested procedures. Once fully informed, things make sense and problems can be avoided for the future. 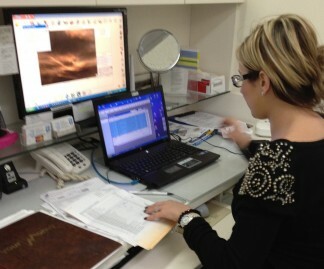 I hope you enjoyed knowing some of the insights of being a Dental Nurse here at Seymour Dental.